Want to increase your blog traffic but not sure how to? I have the answer- it’s Pinterest. Pinterest, in my opinion, is such an under rated platform to use for helping your blog. In my experience, I’ve found Pinterest to deliver the best results for increasing blog traffic over any other form of social media. Today, we’re going to delve right in, and I’m going to talk about all the things that I have done to help triple my blog traffic in just a few months. So grab yourself a drink ( a coffee or glass of rose for me depending on what time it is) as this is probably going to be a big old post, as I want to make sure I get everything in, so you ready? First of all, we’re going to start with a little back story (don’t worry – it won’t take too long!) So, I started to notice that my page views were down, I mean they’ve been steadily de creasing since 2015 and but I just couldn’t seem to get them to increase. Was my blog dead? Was blogging in general dead? This was something I asked myself many times, but I just had to work a bit harder to drive people to my blog. I spent hours scheduling tweets on Hootsuite, creating swipe up links on Instagram (although these are a great help) and generally feeling deflated that it seemed like about four people were reading my blog and one of them was my Mum. Okay so I’m being dramatic, but it is disheartening, which is probably why you’re reading this post. You get it. You work hard on your blog, you want people to read it – I get it. So this is where Pinterest comes in, get this right and you’ll be sorted. But it won’t happen over night, it’s going to take some perseverance and hard work, but if you’re willing to do that then Pinterest may work exactly how you want it to. Well it did for me. Get yourself a business account and enable rich pins, this means you can add more information to a pin which is perfect for us bloggers and business owners. You can also keep a track of your analytics on your business account which is great for tracking your progress. Before anything else, get pinning. Build up your boards, fill them up, because you want people to follow you and your boards and they ain’t gonna do that if they’re empty. Once you’ve built it up, you won’t have to spend as much time pinning, but if you’re new or a bit rusty on Pinterest, get pinning! Make separate boards for separate themes; home decor, style inspo, travel ideas, photography inspiration- you get my drift. Make sure you have a profile picture, add your blog link, and write a good description, Tell people what they can expect from you, what’s your niche? I’m telling people what they can see on my blog and my niche is my wallpapers. I also edit my cover boards of my pins and do this regularly to keep them fresh. Organise your boards into relevance, put your blog at the top, and what you think like-minded people will want to see. Pinterest is all about the aesthetics remember. If you haven’t already, make sure there’s a pin it button enabled on your blog photos, so your readers can pin your stuff if they like it! Don’t panic but this is what you’re going to need to make Pinterest work for you. Sadly just pinning outfit inspo and your blog photos won’t make a massive difference. I wish it was that easy. You need to add something to Pinterest that brings value. This needs to bring people to your blog/business. So think what could that be? For me, I’ve found that flatlays and my wallpapers have been my niche. They are what get the repins and the clicks to my blog. This pin is an example of one my most popular. It has had over 30,000 re pins and has driven thousands of clicks to my blog. So if you have super dreamy photography, that will probably be your niche, you’re going to focus on the photo inspiration part of Pinterest (you can also write posts to fit in with this niche too!) 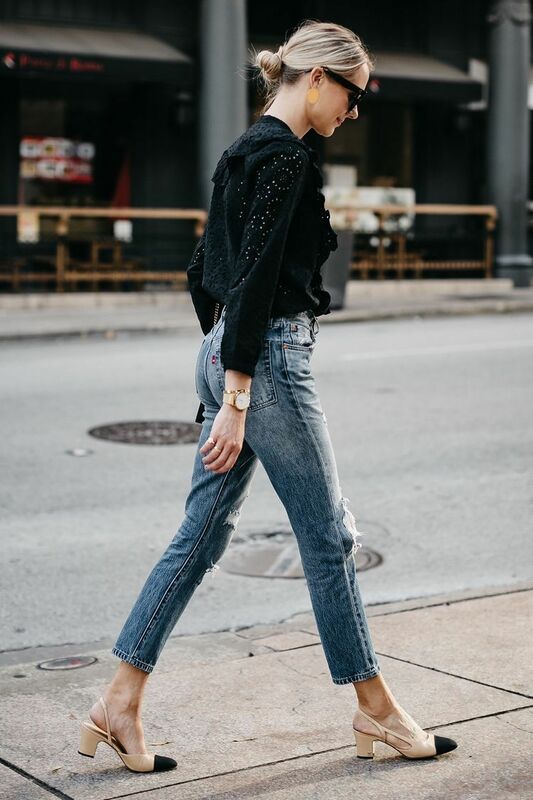 Maybe your style is on point, so there’s your outfit inspo niche, are you a travel blogger maybe? Now don’t worry, you don’t have to have a niche, but you’re going to need to make your posts/photos pinnable so that people are going to want to save them and click on them. Look at other bloggers Pinterest profiles, what is being saved from their blog? So you’ve started pinning from your blog, you’re pinning your flatlays, or quotes, or outfit pics but what now? Well you need to make sure that you are utilising that description box when you create a pin. In the description for your pin, you’re going to want to write description terms that will hopefully bring up your pin when people search for those things. Okay so maybe you’re like well what do I write then in the box? So say, you’re pinning a flatlay, look up flatlay in the search bar and look at the suggestions underneath, add those all in to your description, and do this for whatever genre your photo is – does that make sense? So for a flatlay, I’d use terms like : flatlay, flatlay inspo, flatlay inspiration, beauty flatlay, blogger flatlay, make up flatlay, flatlay ideas, flatlay tips, pink flatlay, flatlay photography, how to take a flatlay…. Use Pinterest like a search engine- it’s like a pretty Google! This will seriously help with your visibility on Pinterest- trust me! Pinterest rewards active users, so every day set aside 5/10 mins to pin. Pin your content, other people’s content, re pin your old pins to get them at the top of people’s feeds again, and 5-10 mins daily is more than enough. 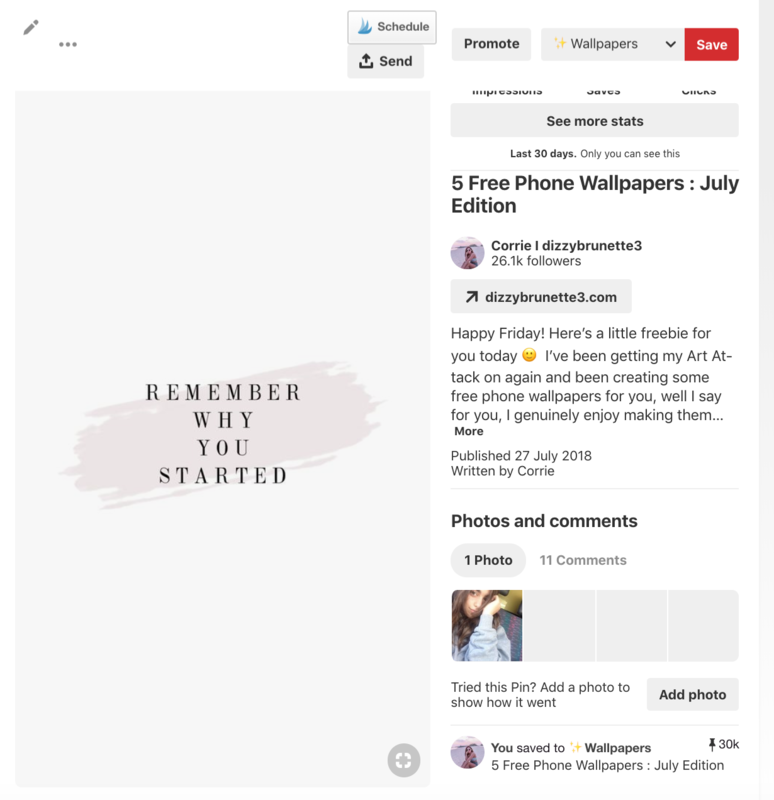 I remember when everyone was like you need a pin scheduler to be successful on Pinterest, and I think they are helpful if you’re starting from the beginning, but they’re not essential. I have really struggled with Tailwind and have never got on with it, but then I know others who swear by it. I just personally think as long as your active most days, you don’t need to faff around with a scheduler, but that’s just me. Group boards are must for bloggers, get on Pin Groupie and find boards to join. These are great for getting your posts seen, and shared about. Join as many as you can that fit within your niche, and pin on to them every time you have a new blog post. Pinterest doesn’t work over night. For me I started to pin my blog posts and flatlays, which did well, then I found real success with my wallpapers. I ensure to do monthly posts with them on my blog which are linked to the pins. I pin my new wallpapers each week. But pin other content every day. Every few weeks, I re pin old wallpapers, especially the ones that have been popular to get them to the top of people’s feeds again. I know this may seem like I’ve not really given you much advice, but this has all helped me. Of course, I’ve found my most success through my wallpapers, but also found results with flatlays too. Pinterest is currently driving 80% of my blog traffic right now. Now for the past month just gone (December 18 – Jan 19) : 79,245. That’s almost TRIPLE! I have no idea if I’ve managed to make this post to make much sense, but I do think that if you work hard and pin good quality images to Pinterest, it can really work for you. Pinterest users like pins that are inspiring, informative that serve a purpose. Remember aesthetics is #1 on Pinterest! So here are some people who I think are doing Pinterest really well : Apartment No. 4, Thirteen Thoughts, We The Spies, Jenna Kutcher, Marianna Hewitt, Love Catherine. I really hope this post has been useful and helpful, if I’ve missed anything out or you’d like to ask some questions, please just send me an Instagram DM or comment and I’ll get back to you! Do you use Pinterest? Do you find it helps your blog?